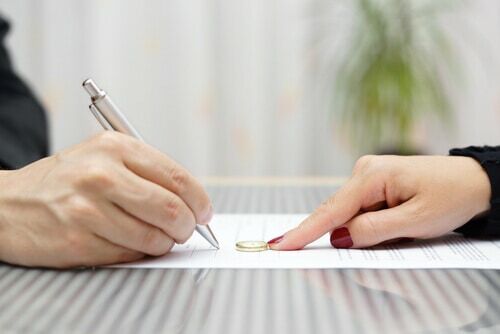 Although there are no guidelines or rules about making financial decisions on your own or with the advice of a legal professional but it is highly recommended to seek the advice and guidance of a divorce solicitor. This is because you will want to reach a fair solution and ensure that you are receiving an outcome regarding your finances that is mutually beneficial to both parties. As discussing finances and agreeing a final settlement can be a source of frustration, this could also cause the prolonging of a lengthy dispute which can massively increase costs. Many solicitors (including the team of solicitors at Hurlows Family Law Practice) strive to reduce conflict and avoid a lengthy court battle. These types of situations can drive further division in an already broken-down relationship and incur a variety of legal fees. Sometimes it may be possible to reach an amicable solution that does not require having to take your dispute to court but it is still recommended to seek the advice of a family law solicitor to review legal documents and ensure that you know where you stand legally. In an ideal scenario, you will be able to reach an amicable agreement regarding your finances during a separation and divorce however this understandably may not be the cause. It’s generally easier to reach agreements on finances if you have both agreed to divorce, that you don’t have children or you have adult children who don’t financially depend on you. It may also be easier to reach an agreement if one of the divorcees doesn’t financially depend on the other and if you can agree how property and pensions should be split. Should one or both parties own a business or if one depends on the other financially then agreeing about finances can become more difficult. This is also true if you have children that financially depend on you and if one of you did not work in order to raise your children. If you are finding it difficult to reach a solution then there are several ways in which you can try and reach a solution such as mediation. Mediation is where a neutral professional (usually a family law solicitor trained in mediation in this situation) can try and help you to reach a resolution. This involves discussing issues and differences and trying to reach a solution. Another solution is having to attend court and try and reach a reasonable agreement. It’s highly recommended to hire a qualified family law solicitor if you have to attend court.